What might be a little surprising to some readers is that there actually were three other Honda models on the list this year, including the 2015 Honda Accord, 2015 Honda Civic and 2015 Honda CR-V. That, by the way, was more models than any other brand mentioned among the fifteen vehicles chosen. As the best-selling crossover in the industry, the CR-V’s spot on the list isn’t particularly surprising, mostly because it balances car-like handling, maneuverability and efficiency with the space and cargo area of a much larger SUV. The Civic and Accord are both roomy options in their respective segment, but also offer loads of great safety features, entertainment technology options and easy LATCH systems for hooking up car seats. 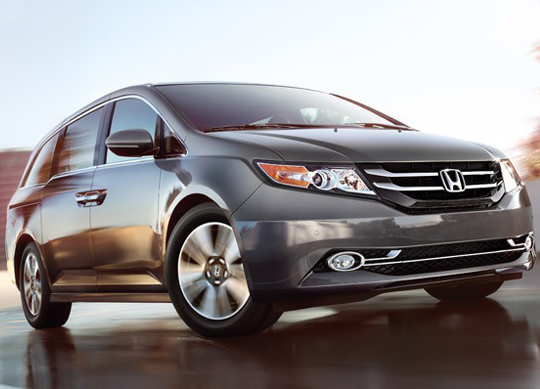 Frankly, the sorts of features that make one Honda vehicle a good family auto are the same things that work across the board. All are at least IIHS Top Safety Picks, for example, and all offer standard rearview cameras. Even better, though, is that all are great to drive and comfortable to ride in for families of all sizes. In fact, there’s a top-rated Honda model for just about any familial unit, which likely is why KBB just heaped the four of these models together on their “cool” list this year.